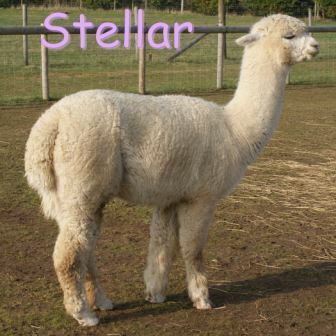 If you are looking for alpacas with excellent fleece characteristics, please find listed below our alpacas for sale. Home bred alpacas, Cherwell Leys Charnwood Phoenix placed 2nd at the Romsey Show 2011 and Cherwell Leys Tangaroa Supreme Champion at Heart of England Fleece Show 2011 both working as stud males here at Cherwell Leys. We have for sale young female alpacas available to be paired with them or any one of our resident stud males of your choice. If you do not see what you are looking for, please contact us with your requirements. 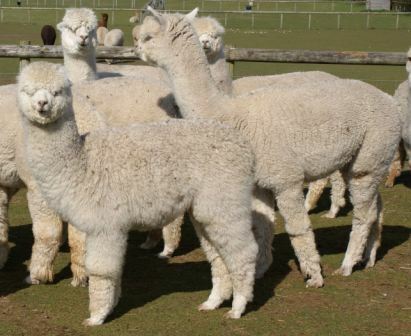 We currently have a special offer on a Starter Herd Package comprising a mix of female alpacas, various ages and colours : whites, lights and fawns, including females sired by Australian pedigree males. Please contact us to arrange a viewing. Special Offer Packages Available, suit starter herds, groups of breeding females starting price of �1200. some sired by our Australian Herd Sires. An excellent opportunity to start your own fibre herd. Her Sire Elite Alpaca Genetics : CWL Antipodean Star has Australian/USA/New Zealand pedigree including Ruffo, Peruvian Hemingway & ILR Alpine Fibre's Brutus. 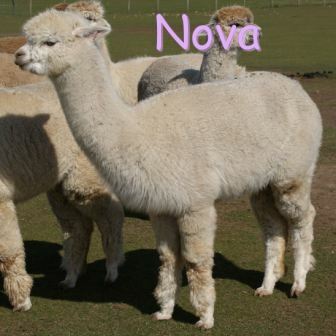 Nova is strong boned with a classic stature and exhibits a bold style with plenty of dense, well aligned staples with a crimpy soft handling fleece. Nova is white, BAS registered and microchipped. Sold as an open female. 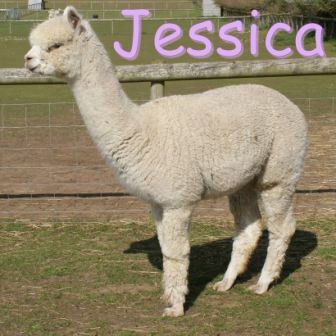 Jessica is an excellent choice for starting out with alpacas. Her Sire EPC Regency has Australian pedigree including Jolimont Commisario. She has solid conformation and bone structure, good size, plenty of dense, well aligned staples with a crimpy soft handling fleece. Jessica is white, BAS registered and microchipped. A great choice to add quality genetics to your herd. Sold as an open female. 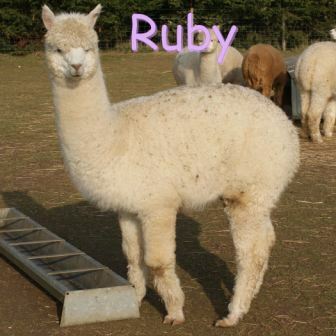 Ruby is an excellent choice for starting out with alpacas. Her Sire CWL Antipodean Star has Australian/USA/New Zealand pedigree including Ruffo, Peruvian Hemingway & ILR Alpine Fibre's Brutus. Ruby is well conformed with good bone structure, having plenty of dense, well aligned staples with a crimpy soft handling fleece. Ruby is white, BAS registered and microchipped. Ruby is sold as an open female. She shows good improvement over her Dam with classic conformation and bone structure, good size, and having plenty of dense, well aligned staples with a crimpy soft handling fleece. Stellar is white, BAS registered and microchipped. Sold as an open female. Victoria shows good improvement over her dam. Her Sire EPC Regency has Australian pedigree including Jolimont Commisario. She has solid conformation and bone structure, good size, plenty of dense, well aligned staples with a crimpy soft handling fleece. Victoria is white, BAS registered and microchipped. 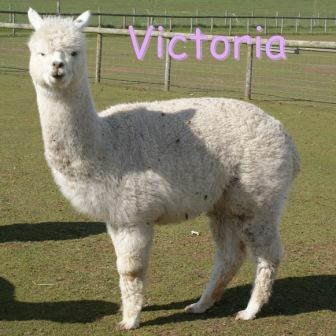 Victoria is sold as an open female. 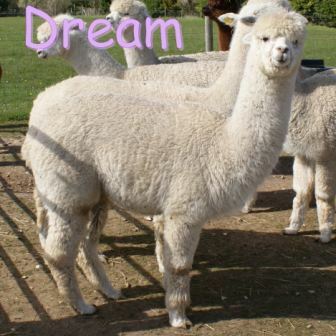 Dream is an excellent choice for starting out with alpacas. Her Sire EPC Regency has Australian pedigree including Jolimont Commisario. She is a strong boned alpaca with classic stature, good size, and having plenty of dense, well aligned staples with a crimpy soft handling fleece. Dream is white, BAS registered and microchipped. Sold as an open female. 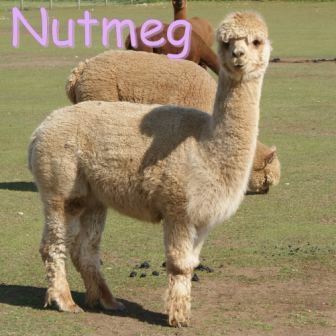 Nutmeg is an excellent choice for starting out with alpacas. Her Sire WEL Romeo has passed on his quality attributes solid conformation and bone structure, good size, plenty of dense, well aligned staples with a crimpy soft handling fleece. Nutmeg is a uniform medium rich dark fawn colour, BAS registered and microchipped. Sold as an open female. 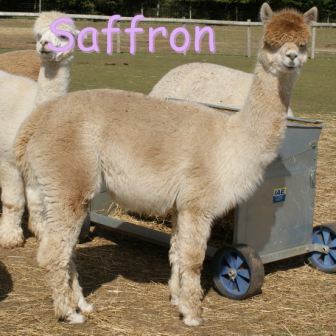 Saffron is an excellent choice for starting out with alpacas. Her Sire WEL Romeo has passed on his quality attributes solid conformation and bone structure, good size, plenty of dense, well aligned staples with a crimpy soft handling fleece. Saffron is a medium fawn colour, BAS registered and microchipped. Sold as an open female.